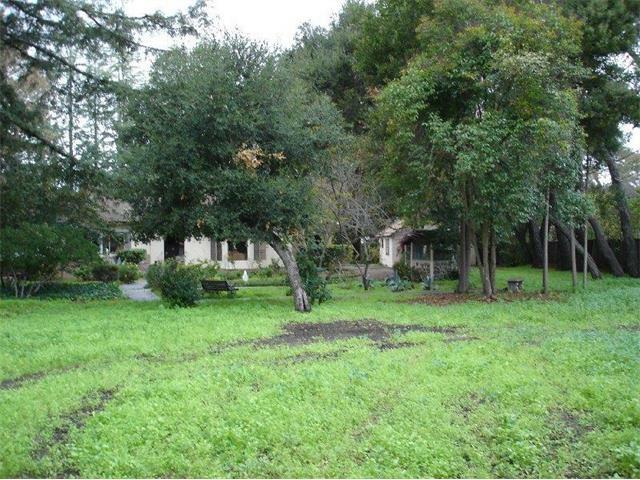 What were the top five home sales in Silicon Valley in Q2? With sales prices ranging from $12,400,000 to $19,900,000, let’s look at each one in ascending order. 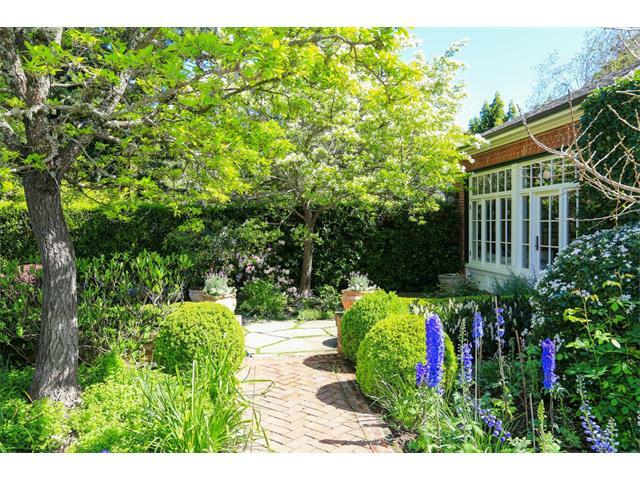 220 Park Lane, Atherton sold in 59 days for $12,400,000. The location of this property took center stage. Marketed as one of “the best available addresses in the world” to build a spectacular home, the property is within a two minute walk to the Menlo Circus Club and minutes from Menlo Park, Hwy. 101 and the San Francisco International Airport. The current home was built in 1928 and has five bedrooms and three bathrooms. A separate guesthouse has two bedrooms and one bath and a studio space of 600 square feet has one bedroom and one bath. With a full 1.3 acres of expansive grass areas and mature oak trees, the location, land value and development potential of this property was definitely the biggest draw. 11627 Dawson Drive, Los Altos Hills also came in at a sales price of $12,400,000.This property is a dream-come-true for a one-of-a-kind car aficionado.The garage houses 35 cars. Additionally, there are two detached garages that house 4 cars and 3 cars respectively plus a 2 car carport. If you’re counting, that totals 44 cars! 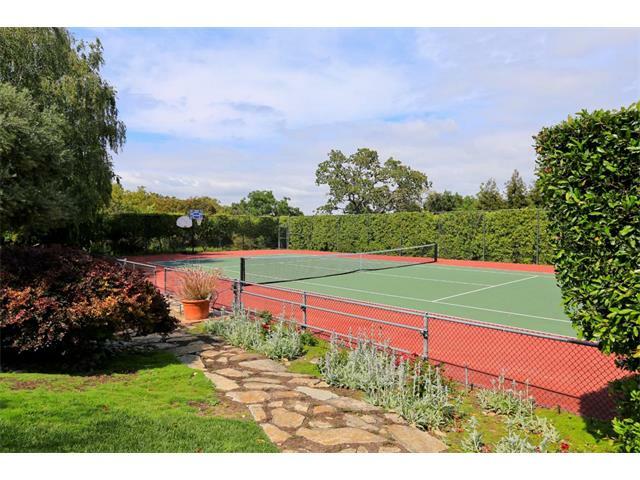 With 5.2 acres, this property also features a full tennis court and an open loggia to a pool area with a solar pool. A full fledged equestrian facility with multiple horses could easily be accommodated as well. The completely gated, private residence harkens back to 1930’s Santa Barbara architecture. The main house has 6 bedrooms and 3 baths, the guest wing of the house has 2 bedrooms and 1 bath and the guest house has 2 bedrooms and 1 bath. Everything about this 1928 built residence has been renovated to be in sync with 21st century living. 35 Ralston Road, Atherton is the newest among the top five Silicon Valley home sales in Q2, 2017. Built in 2014, this property sold in just five days at $12,490,000. 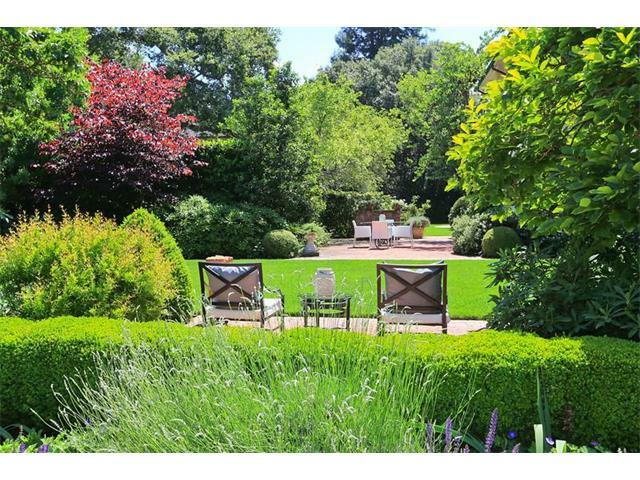 The home and its magnificent resort inspired grounds/gardens have the look and feel of the French countryside. Wide patio spaces, a pool and poolhouse, putting green, barbecue kitchen and rose garden invite family and guests to wile away the hours. The main residence has 5 bedrooms and 9 baths along with a 2-story library, theater, gym, salon and wine cellar on three levels that is serviced by an elevator. Paneled ⅜” glass windows run throughout the house in most every room. All exterior and interior materials have been hand selected and all finishes hand-crafted. 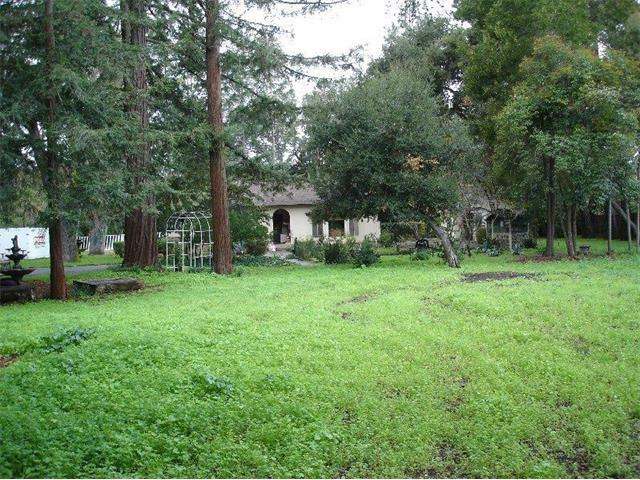 1701 Bryant Street, Palo Alto has a prime location in the heart of Old Palo Alto on a non-through street. Built in 1913, this meticulously maintained .5 acre property sold at its list price of $15,895,000. This is classic, two-story brick home has been extensively renovated at no cost to its timeless elegance. Every detail imaginable has been rendered as a period classic. 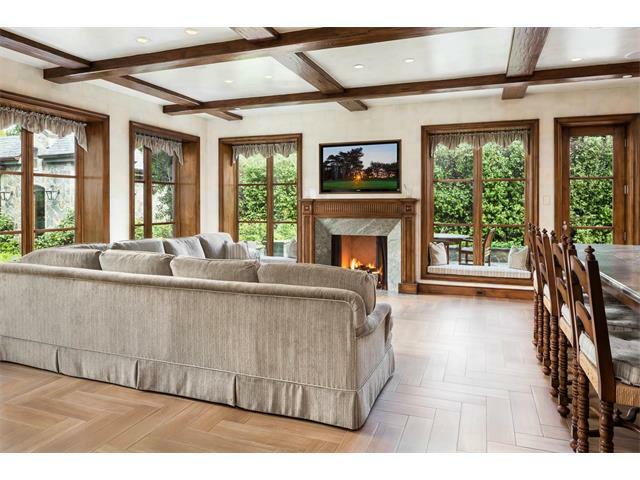 A formal living room and formal dining room, 5 bedrooms and 6 baths offer views to the gardens from all windows. There is also a two-story guest house with one bedroom and 1.5 baths. This property is everything elegant, no thing quirky. 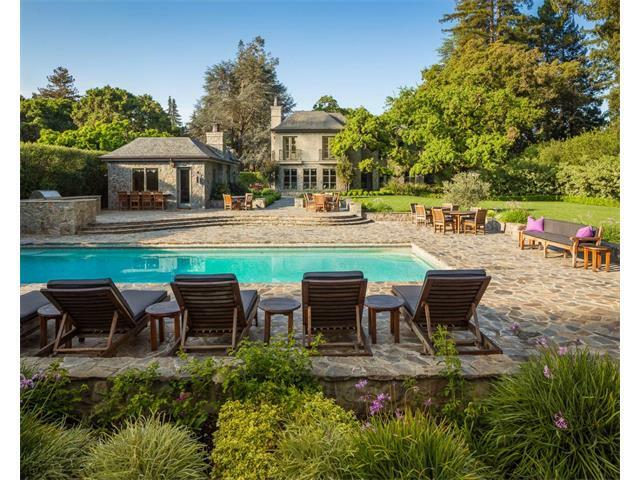 2 Somerset Lane, Atherton is Silicon Valley’s top home sale in Q2, 2017. This European styled villa was privately positioned to sell at the list price of $19,900,000 in just 10 days on the market. Custom built for its owners by the Pacific Peninsula Group with interior design by Bob Miller in 2005, the home sits on a corner lot in walking distance to the Menlo Circus Club. All three levels in the main residence are connected by elevator while a floating main staircase and three additional stairways are available for those who prefer to walk. The main house has 6 bedrooms and 6 ensuite baths, a kitchen/family room, outstanding wine cellar, theater, music room, two-story library and recreation. Disappearing walls of glass enable rooms to contract and enlarge. All the rooms are connected by radiant heated limestone and/or carpets throughout the home. Silicon Valley living is many things to many people. These five homes represent elegant time bending and blending options to live among pasts, presents, futures in this extraordinary environment.